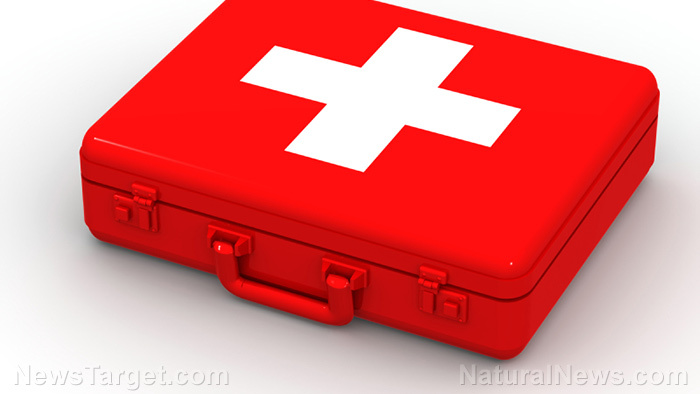 (Natural News) You can’t assume that there will always be someone you can call for help. Even emergency services may not reach you fast enough, and you might have to improvise as quickly as possible. Knowing how to stop excessive bleeding can help minimize health risks. Apply pressure directly on the wound — Using a piece of cloth, or any kind of cloth-like material, apply some pressure on the wound. You can even use your hand in a pinch, but a sterile piece of cloth is preferable. Do this quickly because if a wound is deep enough, blood loss can be deadly. The total blood volume of the average adult male is about five liters (l) and the average female has 4.5 l. When SHTF, preventing blood loss should be your priority. Use pressure points — With this method, you must apply pressure to the nearest artery. Try to press the artery against the bone to reduce blood flow. The goal is to compress the artery of the heart that correlates to the open wound. When done right, the blood transported from the heart to the affected area will be stopped and the bleeding will cease. Remember the two main pressure points for stopping massive hemorrhaging. First is the brachial artery or the primary pressure points for the arms. It is located several inches below the armpit area, on the inside of the upper arm and somewhere in between the biceps and triceps muscles. Feel for the pulse. Once you’ve found it, apply pressure with three fingers. Second is the femoral artery or the primary pressure point for the legs. The artery is located on the inside of the thigh, in the groin area. It’s a little hard to locate, so use some force when you apply some pressure on the area. Do not apply pressure for more than three to five minutes after the bleeding stops. If you’re stuck in the woods, these plants have astringent (causes the contraction of the skin) properties that can help. Treat the open wound, then use a mixture to fix the problem from “the inside” as well. Cayenne Pepper (Capsicum minimum) – Recommended for external use. Dry some peppers, grind them into a thin powder, then use it on open wounds to stop the bleeding. Houseleek (Sempervivum tectorum) – The gel in the leaves of the houseleek plant can soothe the skin. It also has astringent properties. Houseleek gel is obtained and used in the same way as the gel from aloe vera. However, the commercial use of the former is rarer than the latter. Yarrow (Achillea millefolium) – Yarrow can help blood clot, and you can make a tea from both its leaves and flower heads (either fresh or dry). Witch Hazel (Hamamelis virginiana) – Can be used to brew tea that can help with internal bleeding, especially for the stomach and bowels. Ideally, you should use a first aid kit when treating deep wounds that are bleeding excessively. But these tips can be a big help, especially when you don’t have access to a medical kit. You can read more articles about other useful herbs and natural cures at Healing.news.